As a continuous responsibility towards the Lebanese citizens, a civic reform campaign “Cheyef 7alak”, led by Pierre El Daher, was launched to lead by example and achieve reform within the various Lebanese communities. In addition to the success it achieved at the domestic level, the Cheyef 7alak campaign extended beyond Lebanon to embrace the Middle East and neighboring regions, garnering 18 awards at the Arab Media Festivals. 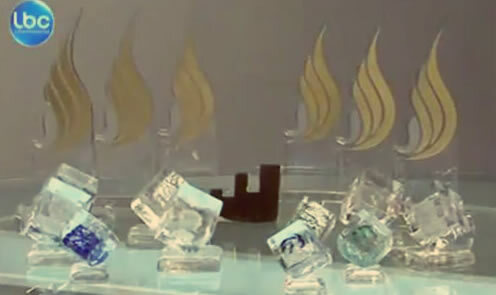 Accordingly, Cheyef 7alak has set a record for most awards won by an Arab or regional media campaign. In details, the campaign garnered 10 awards at MENA Cristal, 6 awards at Gold Lynx, 1 Gold Effie award for best use of Corporate Social Responsibility (CSR). and another Lynx silver award. It is worth mentioning that Cheyef 7alak has been nominated for the Cannes International Festival’s awards. Cheyef 7alak was also awarded at Beirut’s Social Media Awards (SMA) for the Best Integrated Campaign and Most Engaging Youtube Channel.